It feels like summer to me! I hope everyone is enjoying the post graduation traffic and warmer weather. 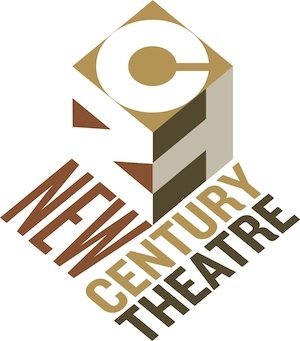 New Century Theatre kicks off the 26th season with the fourth annual Life in the 413 - an evening of radio plays celebrating and poking fun at life in the Pioneer Valley. Come check it out! I graduated from college 288 days ago. Since then I’ve been to seven countries, worked nine jobs, and cried on the subway four times. This article began as coverage on an international arts festival. Bags packed, high hopes in hand, I’m a world away but I am confronted with all the same injustices of home—inequity of race and class and gender. Only now I’m looking at these big issues as a stranger, away from the business as usual patterns of my home and my life, with a head cleared by crossing 3,257 miles to a stranger’s shore. Over and over I am pricked by reminders of my gender and its imposed meaning; of what it is to be a girl by another country’s standard. In Nagle Jackson’s backstage comedy The Quick-Change Room, art collides, and then colludes, with commerce. It takes place in Russia just as the Soviet Union is collapsing and the old order is being replaced by a free-market free-for-all. Still clinging to tradition, the venerable Kuzlov Theater is rehearsing Anton Chekhov’s classic drama The Three Sisters. But something’s got to give. The conflict plays out in the rehearsal studio and in the quick-change costume room, where two hard-working “babushkas” cope with temperamental actors and constant crises, along with a black-market wheeler-dealer and an ambitious young ingénue. Though it’s set within a real historical event, The Quick-Change Room is really a clever commentary on the state of the arts in our own country, where commercial imperatives often trump artistic ideals. It’s a smart, witty roller-coaster of backstage backbiting and artistic angst, where the ruble rules and Chekhov spins in his grave. Buy tickets online or at the door – $12. 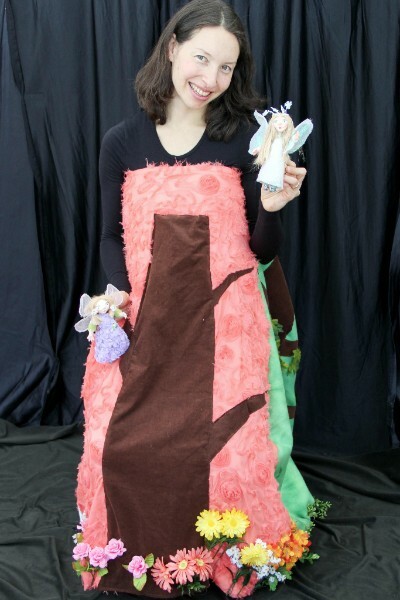 In this magical show, all set on a dress, handmade fairy puppets and felted animals invite the audience to sing, move, and help the fairies find their way back to the seasons where they belong. Recommended for ages 2-7. 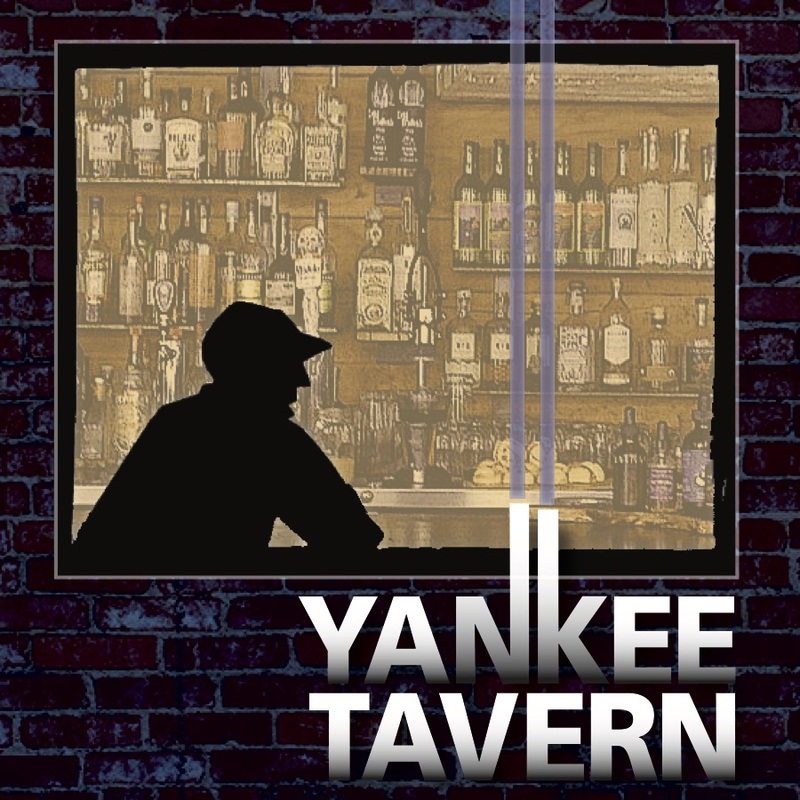 Don't miss this evening of old-timey radio fun complete with foley artists and six new plays about life in the Pioneer Valley. Hosted by Monte Belmonte and Bill Dwight. Featuring Philip Price and Flora Reed of The Winterpills, The Expandable Brass Band, and Josh Sitron on piano. Plays by Ellen Wittlinger, Jack Neary, Eric Henry Sanders, Phil O'Donoghue, Harley Erdman, and Kelsey Flynn and Hilary Price! Tickets $25 General, $15 Students and can be purchased online or over the phone after May 31 (413-585-3220). To celebrate Pauline Productions' 10th year, Lisha Brooks and Dan Robert (Mayflower Plantation) will return to the Valley to screen episodes of their award-winning web series. Proceeds will benefit Pauline Productions, Brooks & Robert productions and the LGBT Asylum Support Task Force. To celebrate Pauline Productions' 10th year of professional theater, Dan Robert and Lisha Brooks return from LA to present episodes from their award-winning web series, BEARDS. Performers from past Pauline Productions will be there. 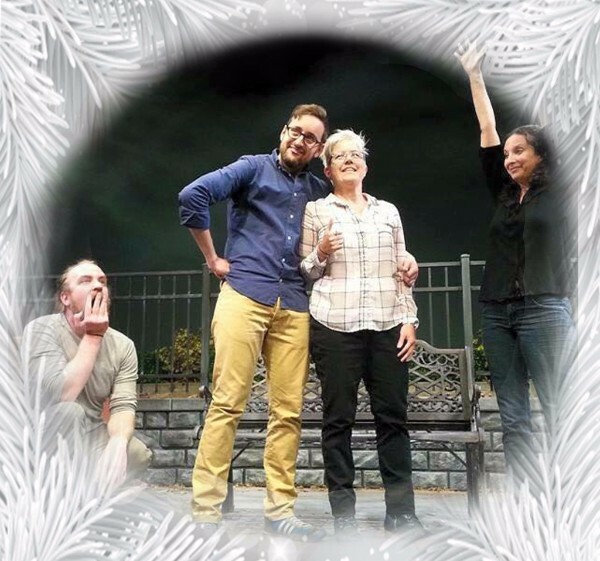 Black Cat Theater presents their Spring adult comedy (for mature audiences) "Moon Over Buffalo", directed by Donald Beach. In the make-up comedy tradition of 'Lend Me A Tenor', the hilarious 'Moon Over Buffalo' centers on George and Charlotte Hay, fading stars of the1950's. At the moment, they're playing 'Private Lives' and 'Cyrano De Bergerac' in rep in Buffalo, New York with five actors. On the brink of a disastrous split up caused by George's dalliance with a young ingenue, they receive word that they might have just one last shot at stardom: Frank Capra is coming to town to see their matinee, and if he likes what he sees, he might cast them in his movie remake of 'The Scarlet Pimpernel'. Unfortunately for George and Charlotte, everything that coud go wrong does go wrong abetted by a visit from their daughter's clueless fiance and hilarious uncertainty about which play they're actually performing, caused by Charlotte's deaf old stage-manager mother who hates every bone in George's body. An original work by Eaton, “MAGS” is adapted from the book “This is Paradise: An Irish Mother's Grief, an African Village's Plight, and the Medical Clinic that Brought Fresh Hope to Both” by Suzanne Strempek Shea. The true-life story details the mission of Mags Riordan, an Irish woman who traveled to a remote village in Africa following her son's death there in a tragic accident. Beckoned by his insistence that she see the abundant natural beauty of the region, Mags is then motivated to help the poverty-stricken residents there by creating a medical clinic to serve them. Actress Cate Damon will perform the one-woman show as Mags. Eggtooth Productions presents THE full disclosure festival. Theater, music, installations, visual art and more….throughout the streets, in movement, and all over town. It’s the Full Disclosure Festival from Eggtooth Productions, June 10th and 11th in downtown Greenfield. What happens when climatologists, anthropologists, and historians collaborate with artists to find new expression? How about a new musical about the Quabbin called the Water Project? Spoken word with dance? Conceptual art? Experiential art and immersive theater? Come have your mind blown at the 2016 Full Disclosure Festival. A centerpiece of the Festival is Emma Ayres’ new production of The Water Project, a music theater piece about the expropriation of towns to create the Quabbin Reservoir. Her work blends the history of the disincorporation and destruction, in April 1938, of four towns in Franklin County with our present conflicts with power, politics, and natural resources. We also offer Poetry Reading on the Main Stage of Artsblock, and A SECRET HISTORY BOOTH with Lindel Hart at GCTV interviewing folks who are invited to tell a story of this place. Tickets are $20 and are good for the whole weekend and the whole festival and are available online. Full schedule and more details available here. midway between The Circus Performers (trapeze) and the Center Stage. TheatreTruck brings our spin to Commedia dell'Arte in this pop-up performance. YOU decide the order in which scenes from classical playwrights will be performed in this choose-your-own-adventure performance. The actors add their own improvisation and physical comedy to the mix. A perfect short-form performance for festival goers to enjoy. You won't want to miss it! 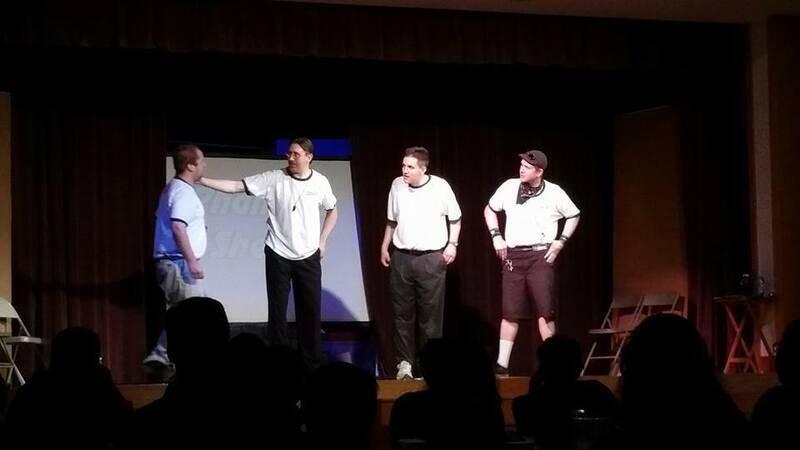 Come see spontaneously-created theater with Valley favorites THE HA-HA'S who perform the fast and furious improvised show "The Buckingham." With special guest funny man Scott Braidman! These talented comedians will be making it all up on the spot in this one time only show. NEW LOCATION FOR ONE NIGHT ONLY! Audiences can look forward to a full evening of comic entertainment rated PG-13 in this wheelchair-accessible space. For more information about The Happier Valley Comedy Show, visit the show website at www.happiervalley.com. PLUS! Stick around after the show for the Happier Valley Comedy School Showcase & Jam! Try some improv out - or just watch - in the student-led improv jam. Plus see an improvised set by the Advanced Improv student team called "HATS!" The Showcase & Jam is free with your ticket into the Happier Valley Comedy Show. There is a one drink minimum. The NCT Kids! show begins rehearsing in July and performances are July 20-23 and August 3-6. Actors will be auditioned for parts in the following productions: “Million Dollar Quartet,” a classic rock and roll musical by Floyd Mutrux and Colin Escott(September 8 – October 23, 2016), “Love, Loss, and What I Wore,” a comedy by Nora and Delia Ephron (November 3 – December 11, 2016), “Amadeus,” a classical drama by Peter Shaffer (January 5 – February 12, 2017), “Painting Churches,” a contemporary drama by Tina Howe (February 23 – April 2, 2017) and “La Cage aux Folles” a musical by Harvey Fierstein and Jerry Herman (April 13 – May 21, 2017). Equity auditions are scheduled in five minute time slots and participants must prepare a monologue. If auditioning for a musical, they must bring sheet music of their choice. An accompanist will be present. Equity performers may be asked to stay longer, if time permits, and read from prepared script selections. 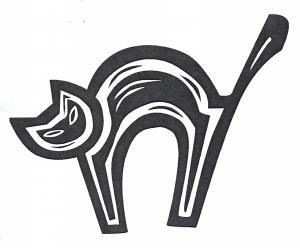 Black Cat Theater is seeking letters of interest and resumes for the positions of Artistic Director and Music Director (piano and vocals) for our Fall musical, Oliver! Rehearsals begin in September and show dates will be in November. Email letter of interest and resume by Saturday June 4th. $500 MA Critics Circle Scholarship available for any high school senior in WMa, NCt. Must be enrolled to attend college next fall w/ a major in any art genre. Need 1 page essay on why you deserve the award, a letter from only 1 person who can speak about your accomplishments, and a sample(s) of your work; i.e. slides, program book, composition, etc. Do you find it difficult to make your voice heard? Do you wish you could participate more in group discussions at work and at social events? Quiet is great, though would you also like to make your out loud voice heard when it’s time to talk? Here’s a chance to practice these skills in a super supportive, judgment-free, and fun environment through easy-to-learn improvisation exercises practiced in a group circle and in pairs with breaks for quiet reflection and discussion. Your question: Do I need to [fill in the blank: have experience/want to perform/know anything/get up in front of people/anything else]? Our answer: Nope! All you need is a willingness to strengthen your inner and outer voice. 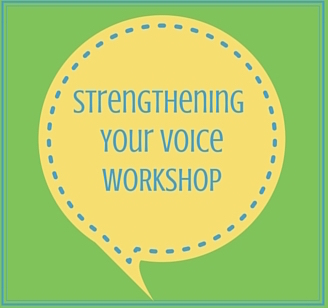 This fun and easy workshop will help you practice quieting your inner judgmental voice, communicate more effectively, reframe setbacks and overcome challenges. It’s also a great chance to connect with interesting folks like you. 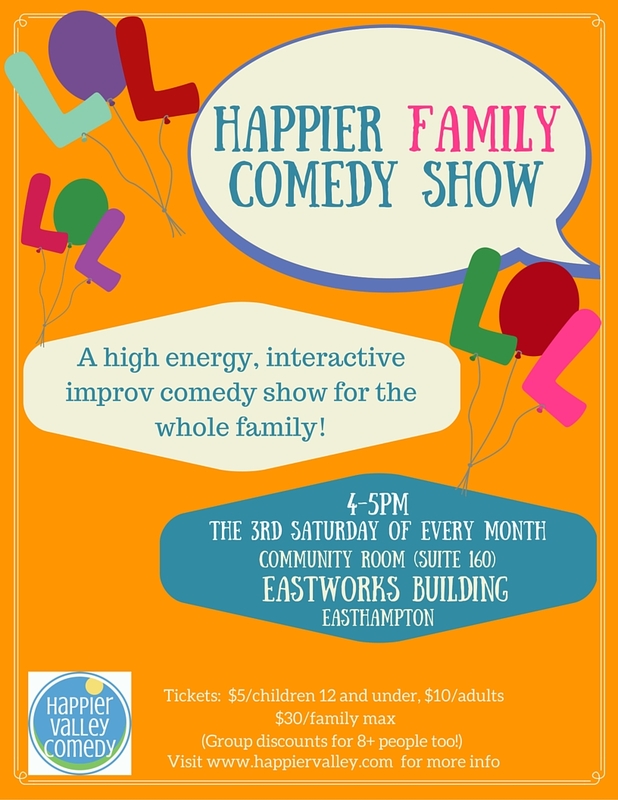 Taught by Smith College alumna Pam Victor, the founder of Happier Valley Comedy. As well as being a professional improviser, Pam is a business consultant who uses improvisation exercises to facilitate powerful growth in the workplace in the THROUGH LAUGHTER program. Pam is the author of “Baj and the Word Launcher: A Space-Aged Asperger Adventure in Communication” and, along with legendary improvisers TJ Jagodowski and Dave Pasquesi, co-author of “Improvisation at the Speed of Life: The TJ & Dave Book.” You can check her out at www.pamvictor.com. Sign up here. If you are unable to reserve your place online, please email.